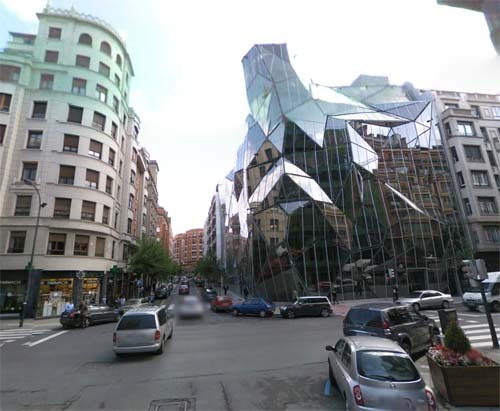 The Basque Health Department Headquarters are located at Calle Licenciado Poza in central Bilbao, Spain. 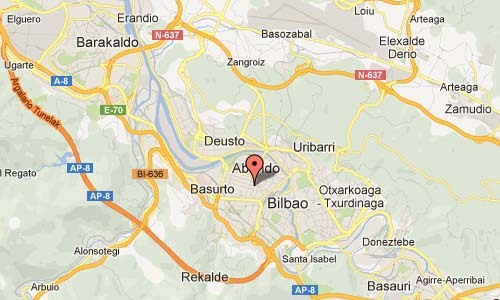 The river of Bilbao is not the only area where urban renewal is taking place. In the center of the old town, the Basque Government has commissioned the young Basque architect Juan Coll-Barreu to design a ‘vital’ building, dominantly present on the corner of Calle Licenciado Poza with La Alameda de Rekalde. The works of this architect are characterized by their adaptive nature, like a glove fits to a hand. All conditions and circumstances are taken into account: first the urban context, the client’s wishes, the functions of the building, the climate, and finally the project itself. 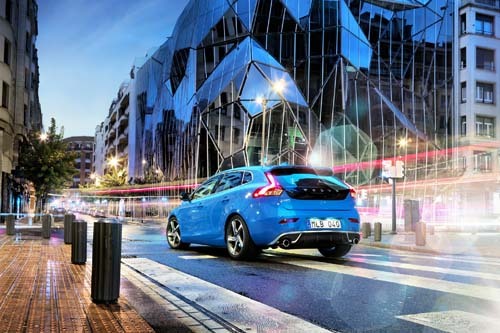 After winning the design competition, this was the first project for him in a complex urban situation: ‘In this design process, everything was a challenge’. 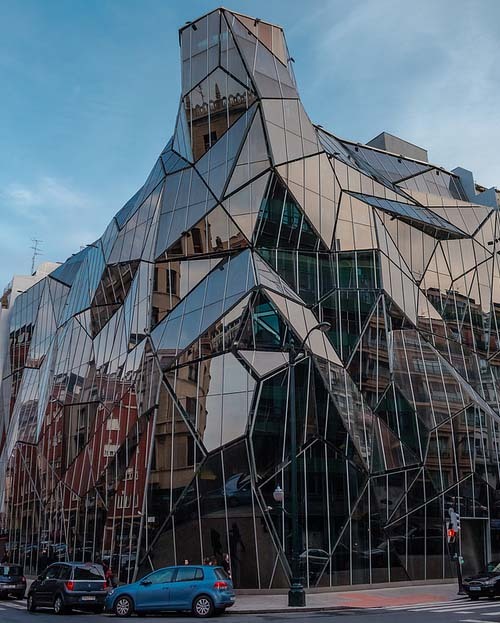 The building is bold and transparent, to express the healty image of Bilbao, and the vital works of its occupants: the Department of Public Health. A double glazed facade functions as a warm blanket in the winter, and a natural membrane in summer.